I’m delighted to have Carol and Bob aka RC Bridgestock on If Only I Could Read Faster today as part of their blog tour for When The Killing Starts which was released yesterday. 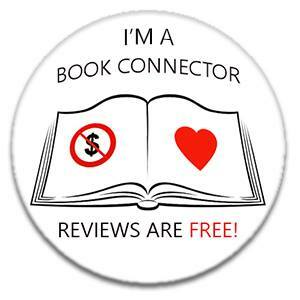 First I have a guest post from them followed by my 4* review. Enjoy! It is often said that we should ‘write what we know’ and so far that method has worked for us. But then again we write crime fiction, and between us we have nearly 50 years of police experience. This unique combination has enabled us to create our down-to-earth character Detective Inspector Jack Dylan, with warmth and humour because he is loosely based on Bob. Dylan’s partner Jen is also loosely based on me, very loosely I might add… And some traits of characters you meet in the Dylan series are also taken from those we’ve met ‘in the job’ – a profession often regarded as ‘a job like no other’. Bob spent his school holidays on his grandparent’s farm, he had a paper round before and after school and his Saturday job was in a butchers. Leaving Grammar school before the mock exams, because he was offered an apprenticeship, meant that he had no academic qualifications, and he soon realised after qualifying as a butcher that unless he owned a shop there was little money in it. So, with a young family to provide for he went to work in a dye works. He stuck it our for two years. The money was good but when he saw colleagues with terrible burns, and when he blew his nose it gave off the colours of a rainbow, he knew enough was enough. He had encountered three runs-in’s with the police in his young life. Once when he was five; his brother gave him a fog detonator that he had taken from the railway line. Bob being smart knew it wasn’t the watch his elder said it was and he threw it away. His railway inspector father found out what he had done and knowing how dangerous the detonators could be, immediately called the police. A short ride in a blue and white Morris 1000 police van took him to the ‘scene of the crime’, in the company of a stern looking police officer. Bob got a clip round the ear for wasting police time and another from his dad when he got home. The second incident was in his butchering days. Returning home on the bus one dark night, over the moors, from the slaughter house, the bus was stopped and a police officer climbed onboard. After speaking to the driver the officer walked slowly down the aisle, his eyes only for Bob. He grabbed the young butcher boy by the scruff of the neck and escorted him unceremoniously off. Apparently an eagle-eyed passenger had caught sight of Bob’s blood splattered smock which was tucked neatly under his arm, and on alighting promptly informed the police. Bob assumed the blue and white apron might’ve given the police officer a clue as to his profession, but nevertheless he was given a clip around the ear for wasting police time and told to put it in a plastic bag next time. He and was left by the side of the road to walk the four miles home – his allocated bus fare already spent! On the third occasion he was quietly enjoying his ‘pie and peas’ from the van in Birstall market square after a night out, when a copper barked at him to ‘move’! Before Bob could say, ‘Bob’s your uncle,’ he was thrown into the back of a police van with a dog that, if it wasn’t called Bite, it should’ve been. Luckily on this occasion the officer got an urgent call and Bob was released promptly with another clip around the ear. Eight years ago we had never put pen to paper – some confidence for those just about to start writing their first novel. The bad news is on hearing the words write what you know I have seen faces immediately show defeat. But, these four short words can be misleading, build barrier as well as impose limitations on the imagination, and breed uncertainty. For instance, we all know what scares us, what being frightened feels like, how we react if we touch something hot or cold, or smell something rancid. It’s that knowledge that we, the author has to draw upon to make our stories believable to others. Your fears of the dark, pain, the unknown, are other people’s fears too. You know what prompts these feelings just as much as the other primal emotions of happiness, sadness and anger; for these are a range of feelings that we all share as human beings. Just remember that when you are writing your story to make those emotions/reactions real to your reader. Everyone knows what it feels like to have the sun on your back, to sit in front of a nice warm fire and feel snuggled, warm, safe; to fall over and scrape your knee – you probably did that hundreds of times as a child. Think also of the other senses. What do you hear? You know full well how you react to a loud bang and how others do too. Or what your body does when you put something tart in your mouth. By sharing those sensations the reader will immediately know how your character is feeling too. For example, Daisy put a slice of lemon in her mouth and pulled a sour face. We don’t need to add, she recoiled and cringed at the tangy taste because we, the reader, can imagine it. So, by drawing upon what you share with others you’ve instantly created a rapport between you, your reader and your character, and this trigger in turn will help share emotions. This in turn will help you build a place. What do you see? The place is irrelevant you could be in a garden, a lounge, a bedroom… Now, as you move on you’ll begin to realise that the situations that you ‘know’ does not necessarily have to happen where it happened to you. This experience could happen anywhere you want – even in another time, or in a fictional world. The next step is to create a character – someone who we want people to remember whether they love, hate or feel indifferent towards. Give them a look, a trait, a catch-phrase that is unforgettable – for instance, do you remember Kojak the big, bald, hard-nosed detective with a lollipop addiction who constantly said, ‘Who Loves Ya Baby’? See what I mean? To make characters in stories in the past or the future come alive we do our research to find out what the fashion was, transport, the technology of the time. Research is another form of knowing. You will need to know how to make them real today. Remember people are people, no matter where or when they lived. They will all have experienced love, hate and curiosity just like you and me. Even if your characters are from another planet, or exist in some futuristic land you’re going to have to give them traits that your readers can identify with, here and now so the story will work. So, taking what you have and what you know, from experience and research you can make-believe…. A story’s success is only waiting to be shaped by your imagination. We often get asked how we write together. Bob writes the police procedural which is the main storyline for each DI Jack Dylan novel. All the Dylan books stand alone in terms of the crime story. He writes this with the ‘mask’ of the detective clearly on, as he doesn’t concentrate on the victims background until the evidence is given to him by way of it being revealed to the investigation team. The initial crime scene in mind he writes through the enquiry. The reader of a Dylan book is firmly sat on the detectives shoulder throughout both in his professional life and at home treating them to all the highs and lows of any case he takes charge of. Once the crime has been solved I get the narrative and I start from the beginning – Bob doesn’t do a re-write – that’s my job. I write the home-life storyline, the emotion. I draw out of Bob his ‘real’ feelings and write the scenes from his sometimes harrowing descriptions. Personally I think writing has been cathartic for Bob. Bob says its work! We’re lucky to write procedurals as there is never a case of not knowing how to move the story forward. All DI Jack Dylan books also stand-alone. When the Killing Starts is the seventh book in the D.I. Jack Dylan series. However, it is the first book in the series that I have read and I had no problem keeping up so it can easily be read as a standalone book. RC Bridgestock is in fact two people, a husband and wife team who now write together (and do a huge amount of amazing charity work). Perhaps because it is written by an ex police officer, this book felt really real and true to life. Dylan’s relationship with his wife felt particularly genuine which may well be down to the real life experience of the other half of the writing team. The main storyline in When the Killing Starts is focused on the frankly evil Devlin brothers. I found their part of the story really good, and I enjoyed reading about how Dylan was tracking them down. While Dylan is running that investigation he is also overseeing another murder investigation. I found that a bit of a distraction really, I would have preferred it if Dylan had focused on one investigation. Although I do recognise that no doubt in real life they do run multiple investigations at the same time. If you are new to police procedural books then these are great books to start with. The assumption is made that the reader has little to no knowledge of how police investigations work, so things are explained clearly. When the Killy Starts is a really good book, it is well written and I will definitely be reading more from RC Bridgestock and D.I. Dylan. I received a copy of When the Killy starts from the authors in return for an honest review. You can buy When The Killing Starts from Amazon UK and Amazon US now.